My left arm is currently cloaked in a bright red cast and it’s not because I just felt like getting festive early, it’s due to a broken wrist. I’d love to say that I broke it because I helped rescue a little old lady from a pickpocket but instead I just fell over. Well, okay I didn’t just fall, I flew…. across the gym….in front of about 10 hunky men doing weights. I felt so idiotic I stood up and laughed exclaiming to the whole gym ‘I’m FINE, don’t panic I’m FINE,’ before running into the changing rooms to cry and cradle my wrist which was turning a nice shade of black and was sticking out at a strange angle. So, I have 2 weeks left of my idea of hell. I can’t exercise for fear of falling over again and breaking the other arm and cooking is ummmm interesting (I’ve had to puree most of my food). 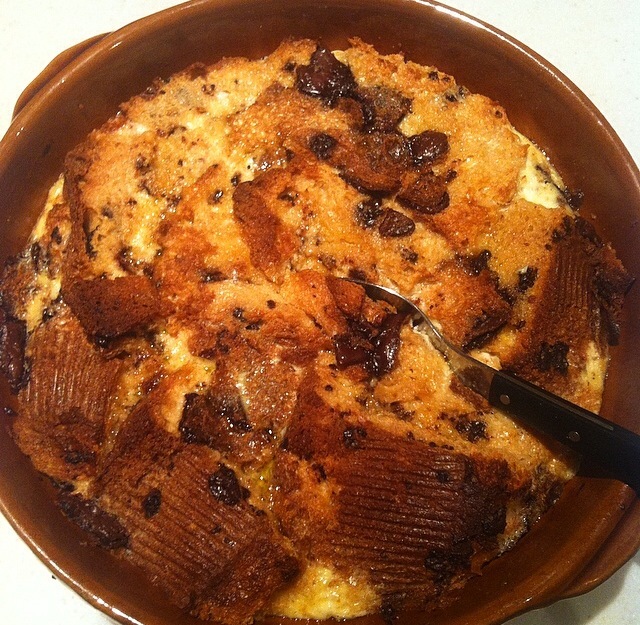 One thing I have been able to make is this Panettone pudding. 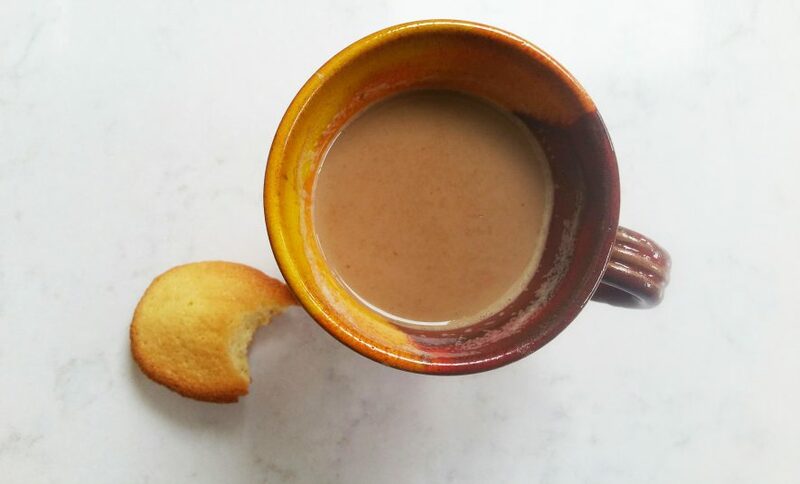 The more slapdash the better; it’s rich, chocolately and delicious. Perfect for a one-armed idiot. Put the dish in a roasting tin and pour hot water around it to a depth of about 2.5cm/1in. Bake for 35 minutes until the pudding is just set – it should be yellow inside and nicely browned on top. Serve with a glug of double cream. Directions for use: Hunker down for the winter and eat your way to Christmas.